In her own day, Amy Post was well known as a radical Quaker abolitionist and feminist. In the late 1960s, feminists began searching for heroines, women whose lives could provide guidance and inspiration to a new generation of female activists. 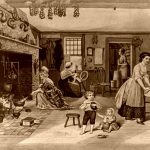 Many women who were first rediscovered as models of strength, self-reliance and ingenuity were residents of western New York, including Elizabeth Cady Stanton, Susan B. Anthony and Elizabeth Blackwell. Yet what made this region of New York, and Rochester in particular, a seedbed of female achievement was not only the few nationally renowned women who made a home there but also the dozens of women who day by day struggled to lead exemplary lives and to improve the lives of those around them. Amy Post was one of those women. Amy Kirby was born in 1802 at Jericho, Long Island, New York to a large, close-knit family of Quakers, also known as the Society of Friends. The importance of humanitarian reform was embedded in her early education and would become the foundation for her later work as both an abolitionist and women’s rights activist. Amy’s later responses to social problems were rooted in the beliefs and customs of Quaker community life: the importance of informal networks of social support, the relatively equal roles of women in the meeting and the community, the emphasis on extended webs of kinship, the faith in one’s inner light as a source of guidance, and the commitment to humanitarian reforms. In the early 1820s, Amy Kirby was still a light-hearted young woman who spent far more time discussing courtship rituals and potential beaus than pondering society’s woes. The greatest anxiety among her friends was that they would cast their lot with one of the many young men who sought economic opportunity in the richer lands or urban centers to the West. Amy’s older sister Hannah Kirby was one of those young women who suffered the isolation and homesickness of separation from family and friends after marrying Isaac Post and moving to a farm near the village of Scipio in central New York in 1823. Within months she begged Amy to visit: “I feel as if I could not be satisfied to pass this summer alone,” she wrote. Amy soon headed north. During the mid-1820s, several bouts of sickness spread through Amy’s friends and extended family – an aunt, a cousin and female friends in both central New York and Long Island were buried in quick succession. Rarely did a letter appear that did not contain bad news. In 1827 Hannah fell ill, and Amy joined the Posts to help care for their two young children. Then in April, Hannah Post died, and Amy stayed on with Isaac to continue caring for the children. Throughout this time, the only other news that had competed for Amy’s attention was the growing tension within the Society of Friends. Elias Hicks, a cousin of the Kirbys, led the charge against the leading Friends, arguing that the Society had wandered from its roots and taken on the forms of an orthodox church. Hicks insisted that individuals must focus instead on their own Inner Light for spiritual direction, and must act according to the principles of the Quaker founders. For almost two years, Hicksite and Orthodox Friends struggled to gain the upper hand. Initially, the Long Island meetings remained Orthodox while the central New York groups quickly associated themselves with the Hicksites. Occurring simultaneously with Hannah’s death in April 1827, the Quakers divided into two rival organizations: the Orthodox Friends and the Hicksite Friends. In 1828 Amy Kirby married Isaac Post, with whom she had four children: Jacob, Joseph, Matilda and Willet. Amy, still a member of the Orthodox Jericho meeting on Long Island, was considered to have married “out of the order of Society” by taking a Hicksite husband. Months later, the matter was still not settled to the agreement of the Jericho meeting and Amy Post finally withdrew to become a member of the Hicksite Friends. In 1836, the Posts moved to Rochester, New York, where Amy’s workload was considerably eased by the retirement from farm life. 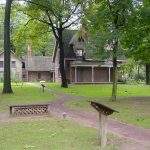 Here, in the company of like-minded Quaker neighbors, she became enmeshed in attempts to revitalize the Hicksite meeting and reform the larger society. From 1837 on, she was also active in several attempts to alter the rules to give both men and women the same rights during the meetings of the Society of Friends. At the same time, debates erupted among Hicksites over the role of non-Quaker associations in promoting the antislavery cause. In the fall of 1837, Amy Post went against the Society of Friends elders, who disapproved of slavery but distrusted radical abolitionism, by signing her first worldly petition against slavery, writing her name alongside those of several hundred non-Quaker female neighbors. By the early 1840s, the Posts began to hold “numerous little abolition meetings” in their home, where prominent reformers visited and spoke, including Sojourner Truth and Frederick Douglass, who became a close personal friend. The Posts helped establish him in Rochester, where he later published his antislavery newspaper the North Star. The welcome Monday morning came, and after a hearty breakfast… they left the house, with all the stillness and quietness possible, and we soon saw them on board a Canada steamer, which was already lying at the dock; with them on board, it immediately shoved out into the middle of the stream, hoisted the British flag, and we knew that all was safe; we breathed more freely, but when we saw them standing on deck with uncovered heads, shouting their good-byes, thanks and ejaculations, we could not restrain our tears of thankfulness for their happy escape, mixed with deep shame that our own boasted land of liberty offered no shelter of safety for them. In 1842, Amy and Isaac Post became charter members of the Western New York Anti-Slavery Society (WNYASS). The founding meeting was chaired by an agent of the American Anti-Slavery Society, ex-Quaker Abby Kelley; and the participants included Presbyterians and Baptists as well as some two dozen Hicksites. As an officer of the society, it was Amy Post’s duty to organize fundraising fairs and group conventions. She and three other local Quaker women joined Kelley to “draft and present an address to the abolitionists of Western New York, setting forth the benefits of fairs and recommending some definite plan of action” to raise funds. The ladies did not stop at devising a plan, however, but proceeded to organize the city’s first female-run antislavery fair. The Quaker elders accused Post of being too worldly in her attempts to abolish slavery, and singled her out for investigation. She disregarded their actions, and continued distributing religious testimonies on the American Anti-Slavery Society’s official letterhead. For the Posts there was no boundary between the religious beliefs of a Quaker and the political activism of an abolitionist. Amy was also sick at that time and remained in poor health the rest of the year, but gradually reconciled herself to the situation. During the spring of 1845, both Amy and Isaac Post stopped attending monthly meetings, and in the summer, they withdrew from fellowship with the Hicksites. As they turned their attention away from the Society of Friends, they found more energy for antislavery campaigns. The WNYASS met again in December 1845, and the women members resolved to make up for their lack of activity in the previous year by organizing their third antislavery fair. Over the next five years, WNYASS women organized dozens of fairs in Rochester and surrounding towns. Amy was always involved in these activities, traveling throughout western and central New York to aid local women in the management of WNYASS-sponsored events. In 1847, Amy gave birth to her last child, Willett, but it barely slowed the pace of her public efforts. The Post household, always open to antislavery agents and fugitive slaves, was now constantly expanded by visiting lecturers, itinerant reformers, fleeing or newly emancipated blacks and workers at the North Star. William Lloyd Garrison and Lucretia Mott were among the dozens of public figures who were guests of the Posts. In the summer of 1848 a separate movement was created to consider women’s position in society. 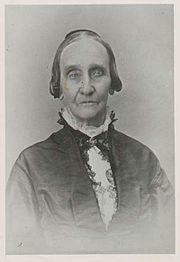 Amy Post attended the first women’s rights convention in nearby Seneca Falls, New York in July 1848. Twelve days later a second meeting was held: the Rochester Women’s Rights Convention, which emphasized women’s economic equality. This was Amy Post’s first experience as an organizer in the women’s movement, but certainly not her last. 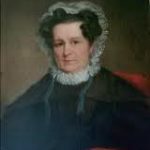 In 1849 and 1850, Amy Post was the chief organizer of more than a dozen antislavery fairs in western New York. She challenged the status quo, rejected the plain style of Quaker speech, and used unladylike language to illustrate the horrors of slavery. She and her sister organizers refused to bow to convention in presenting themselves to the public as antislavery spokespersons. They signed their public statements with just their first and last names, without Mrs. or Miss, making it clear that they took sole responsibility for their actions. While it was essential to hide the whereabouts and conceal the identities of fugitives, Amy Post believed that it was equally important to make social contact between free blacks and whites highly visible. Thus late in 1849, WNYASS women invited “all classes and colours” to participate in their annual antislavery fair. Blacks and whites responded, and “one hundred people… sat down to one table” to share turkeys, hams, chicken and salads. Many local abolitionists disagreed, including Frederick Douglass, who thought that rowdiness at the event only reinforced Rochesterians’ fears of blacks; and a rival Rochester Ladies’ Anti-Slavery Society emerged in 1851. Both the existence of a second female society and the fact that it received Douglass’ blessing shocked and saddened Amy Post, but she would not compromise her principles. Indeed, she did not retreat from mingling socially with blacks despite causing “great dissatisfaction in the Rochester community” and among her own relatives. The Posts hosted the wedding of a black couple at their home, Isaac frightened his aunt Phebe by “talk[ing] about eating with coloured persons,” and Amy offended former friends by “travelling with a colored person” from Boston to Rochester. Such actions were accessible forms of public protest for individuals with limited funds and little political clout. When undertaken by women, these acts of social defiance aroused even greater hostility in the community and placed at center stage the concerns of seemingly powerless females. Throughout the war, Amy Post helped the National Loyal League gain signatures on petitions promoting emancipation, made and collected goods for escaped slaves and contraband blacks freed by the Union Army’s progress, and organized supplies to be sent to the contraband camps in Virginia. 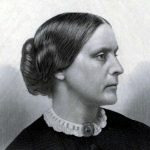 After the war, while Garrison and other national abolitionist leaders retreated from the public spotlight, Rochester’s radical women renewed their commitment to social change. A new generation of women activists took the lead in these years and focused their energies much more narrowly than their foremothers, hoping to achieve at least the one concrete gain of women’s suffrage. But Amy Post was not left behind; with her stepdaughter Mary Hallowell and her sister Sarah Hallowell Willis and other local feminists, she helped organize one of the first meetings of the short-lived Equal Rights Association. The Post women and their allies concentrated their work in the National Woman Suffrage Association led by Elizabeth Cady Stanton and Rochester resident Susan B. Anthony. In November 1872, Anthony decided to strike a direct blow for women’s right to the ballot by voting in that fall’s election. She was joined at the registration booth by fifty local women, including Amy Post. On election day, only sixteen of the women were allowed to cast ballots, and of these only Anthony was arrested for voting illegally. At this point, Amy Post began to let younger women, including her stepdaughter and sister, carry the burden of the struggles. Just months before the 1872 voting campaign, Isaac Post had died at the age of seventy-two. Though no letters remain to testify to his spouse’s grief, only Amy’s faith could have relieved her sense of loss at the death of her lifelong companion and co-worker. In the last decade of her life, her loneliness must have been relieved somewhat by her new status as local celebrity. She was applauded at anniversary celebrations of Rochester’s first women’s rights convention, was asked to contribute to the city’s fiftieth-year histories, and was approached for advice by the new generation of female activists. Moreover, she did not abandon her public career entirely, but remained an active member of suffrage associations and of the National Liberal League, which mounted campaigns against Victorian sexual standards and bureaucratic government. Amy Post had done as much as any Rochesterian to lift up women. Even in those years when she was viewed as an extremist by the general public, she was recognized as a humanitarian by her friends. Amy Post died January 29, 1889, and was buried in Mount Hope Cemetery, Rochester, New York. She is remembered for her relentless fight for abolition, her extreme involvement in women’s rights activism, and her association with other well-known abolitionists and women’s rights leaders. Her dedication to her religious and political beliefs left a lasting impression on future generations of women.